Panera Bread’s plan to remove food additives from its menu appears to be taking shape, with the restaurant announcing today that it plans to remove at least 150 artificial ingredients from its menu in the coming months. The Wall Street Journal reports that Panera’s move to pinpoint certain ingredients for removal by the end of the year is just the company’s latest action when it comes to shifting to what consumers see as more healthful ingredients. The company has been working on its plans since 2012, and announced last summer that it would work to remove all artificial food additives over the next two years. Ingredients on the company’s chopping block this time around include fat substitutes and propylene glycol, a preservative sometimes found in deodorant and electronic cigarettes, the WSJ reports. The company previously cut additives such as artificial sweetener sucralose and titanium dioxide, which is used to whiten mozzarella cheese. Panera says that most of the recently announced additives being removed will apply to soups, salad dressings, sandwiches and some baked goods. Michael F. Jacobson, executive director of the Center for Science in the Public Interest, applauded Panera’s announcement on Tuesday, but noted that not all additives or hard to pronounce ingredients are necessarily bad for consumers. “Some of the additives Panera is ditching are perfectly innocuous, such as calcium propionate or sodium lactate—so those moves are more about public relations than public health,” he says in a statement. Additionally, he says that the company should have made it abundantly clear that its plan to remove additives doesn’t include the soda fountain. “If what you’re having at Panera is a 1,000-calorie panini with a day’s worth of sodium, or a 460-calorie soda, food additives should be the least of your concern,” he says. 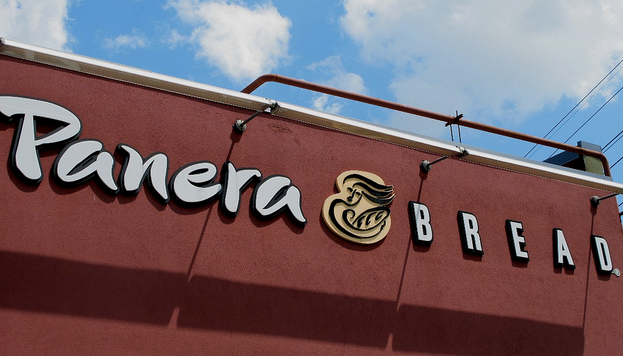 Panera’s latest effort to drop artificial ingredients comes on the heels of other major food companies doing the same. Last week, Chipotle announced all of its food would be GMO-free (while simultaneously acknowledging that GMOs may be completely safe). Just a week before that, Kraft announced it would remove synthetic colors and artificial preservatives form its Original Macaroni & Cheese in the United States. In February, Nestle said it would remove artificial flavors and colors from all its chocolate products by the end of the year.